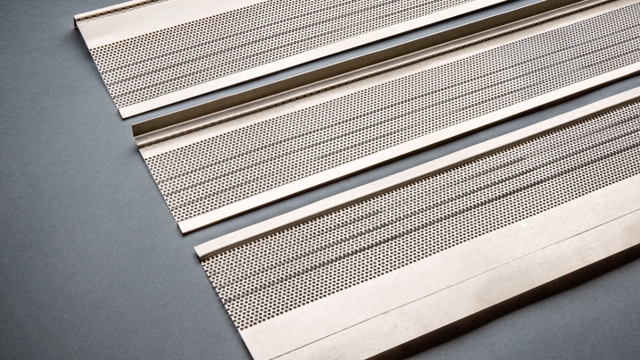 Englert’s MicroGuard gutter screen features the latest in micro-filtration technology providing superior leaf protection. 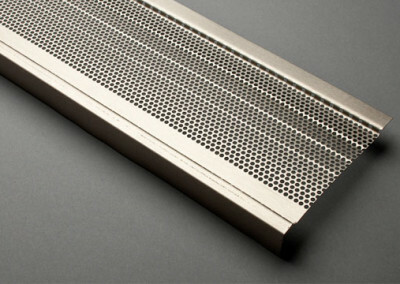 Its angled micro-perforations effectively block large debris from sticking to the screen while efficiently clearing water into the gutter. 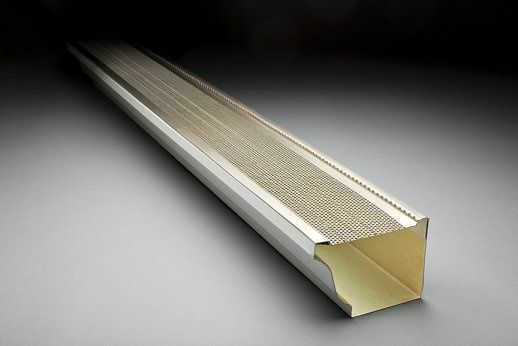 MicroGuard is available in three different configurations giving contractors options for using the screen in different gutter and roof conditions.Traditional MicroGuard is attached to the front of the gutter while the back sits on the back bracket, facing down. MicroGuard Flat is attached to the front of the gutter but its back is flat to fit under the first row of shingles on a roof where the shingles have been cut too short. Easy to install, the new MicroGuard does not penetrate shingles and won’t violate roofing material warranties. Each four foot section is easy to install requiring only three zip screws guaranteeing secure and maintenance-free leaf protection. 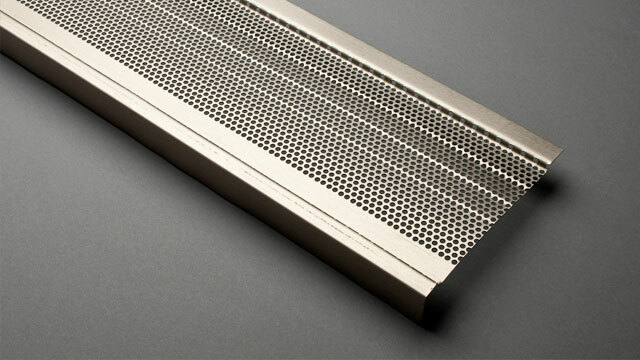 The sections are made of sturdy 032 gauge aluminium and have 2000 holes per lineal foot to maximize drainage. Great curb appeal – will not interfere with roof lines – it can be installed on all, or isolated sections of gutter with heavy exposure to trees – it’s virtually invisible from the street so no one will notice it’s there! Quick and easy to install on almost any 5 or 6 inch gutter system.